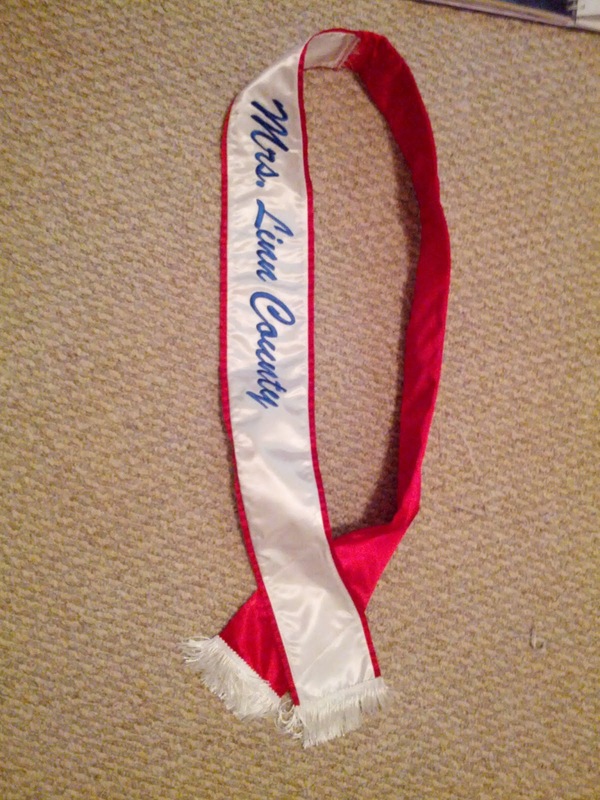 One of the many reasons why I wanted to do a pageant was the little girl inside me wanted the sash and the crown. Well half that fantasy has already came true. Last weekend my red headed, lesbian sister put on a gay prom at a local bar. 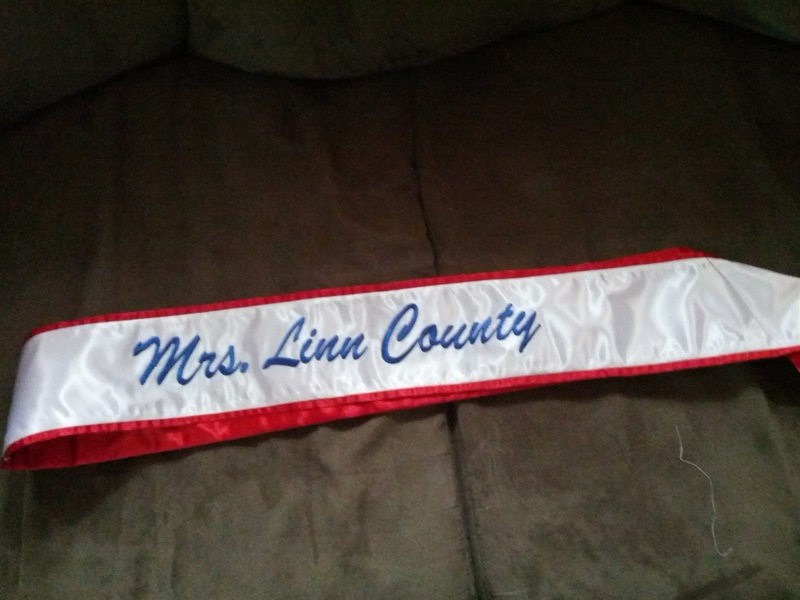 And what prom king and queen would be complete without a sash? That's where I came in. 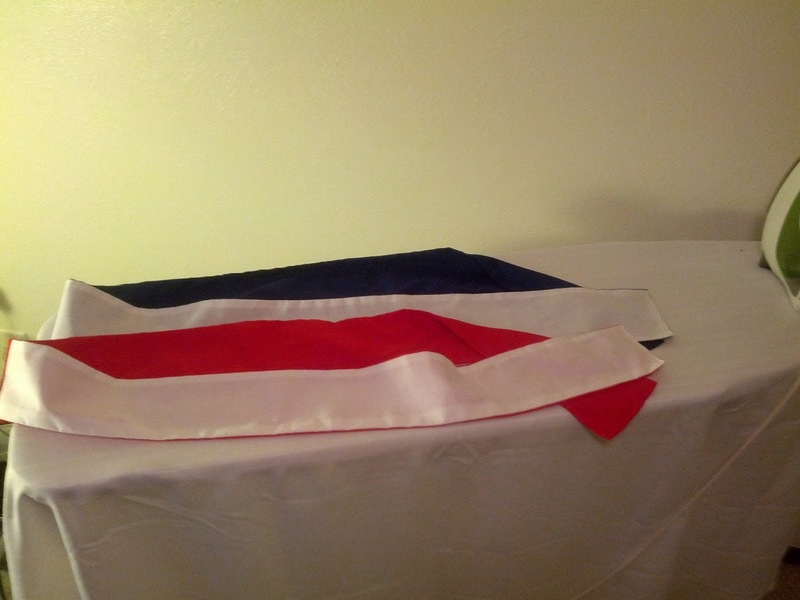 I went through my scrap bin and was lucky enough to have enough strips to make two sashes. 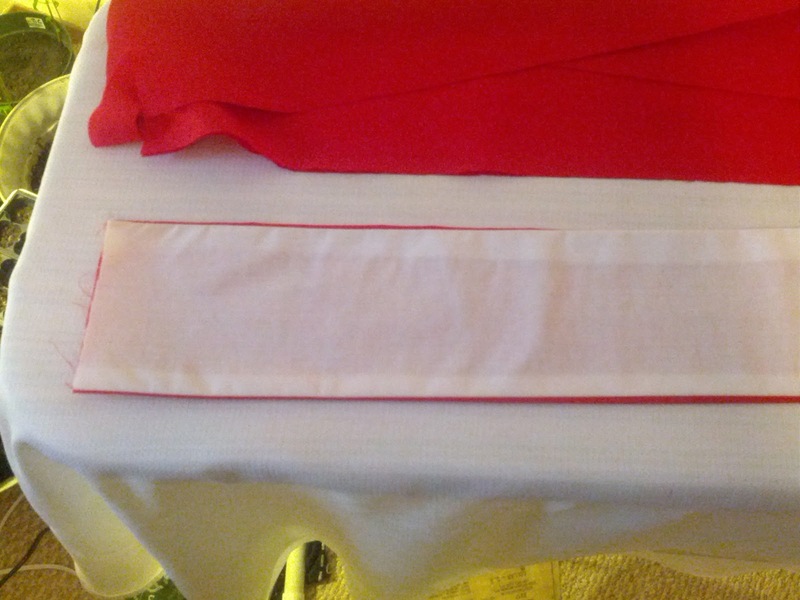 Buying new, one yard of red, one yard of blue, one yard of white and half a yard of interfacing should give you more than enough to get it done. Sew a color strip to the white strip sewing the long sides first. You should have a long tube to turn inside out. Sew the red-red tube, and then the blue-blue tube. Turn all tubes right side out. Sew the color side to the white-color at the top seam. Right side together ( aka the white side on the inside) I zig zagged stitched this seam to reinforce. Now the bottoms of the strips I folded in and top stitched very close to the edge. I wished I had had some tassels. Now here comes the magic, make the strips a huge aids ribbon. Put white thread on top, and red or blue in your bobbin. sew a leaning square to keep them together at the bottom. Sewing around the edge, pin first, try it one making sure you get the angle right. I didn't get shots of it, but I used iron on, print out paper to add the letters. Finding the right size to print out was the hardest part of the whole thing. 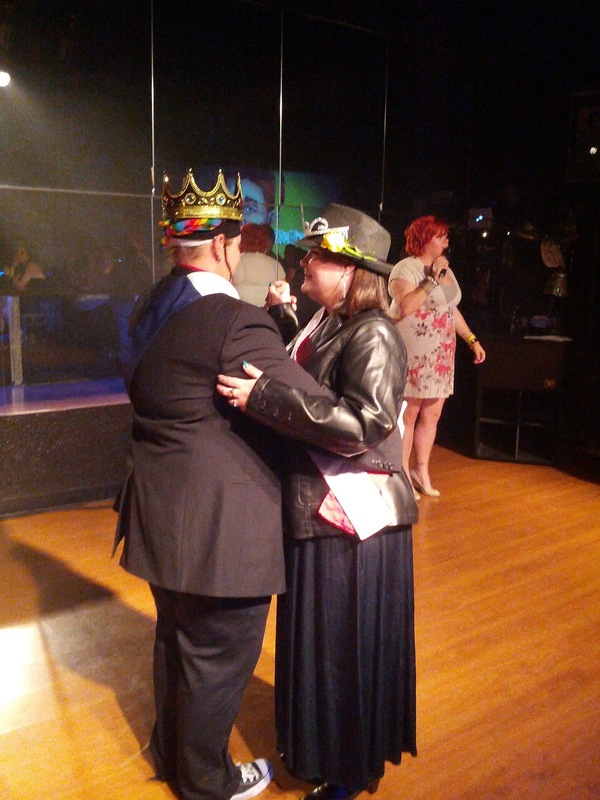 Here are the prom king and queen dancing their victory dance. Turns out the girl that won prom queen had had brain cancer and had missed her real prom (hence the hat)and loves the sash as much as I do. 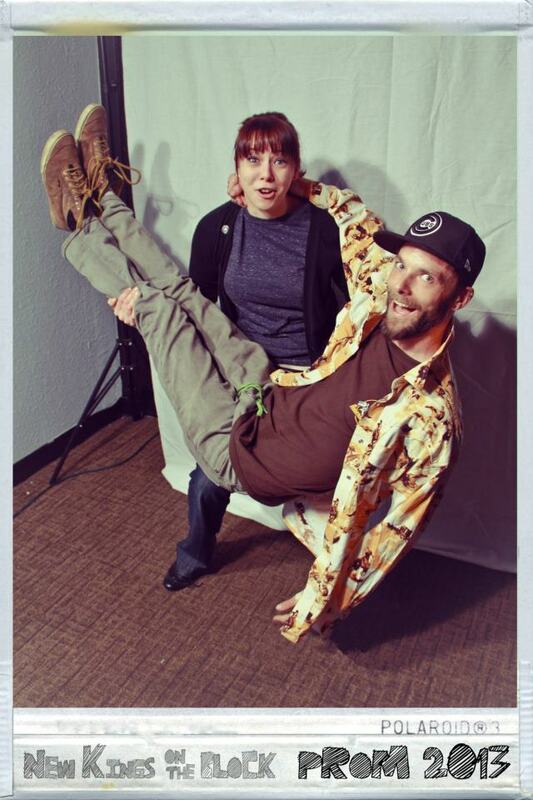 Oh and here is my "prom picture". Photo credit.